A tidbit that someone doesn’t know about me is that I briefly worked in the modeling industry with a fashion show production company. No, I wasn’t walking on a runway modeling the latest clothes of an up and coming designer. I was on the business side of things. It was such a brief stint I couldn’t tell you the name of the company. It was still a good learning experience. The point is that it was a Black-owned company. I thought about the experience recently when I watching some videos about the pitfalls of the modeling industry. One takeaway was that the models featured or interviewed were tragically white. Indeed it was stated in one video by a prominent Victoria’s Secret model that a woman needed to be white to make it in the industry. I thought about that because I thought about what modeling entails. The purpose of models are not to simply look beautiful but to sale clothes and sometimes products. That’s a big reason why the industry is so white. The products are sold primarily to white people through media such as advertisements. I then thought about all the Black people who aspire to be models who quite frankly won’t make it because they are not white. Yet there are a growing number of Black fashion designers who need their products sold as well. I personally know several Black designers who do use Black models and also produce their own fashion shows. They have the right idea. This article isn’t about modeling. The fashion industry is just one area where Black people should be carving out our own niches. 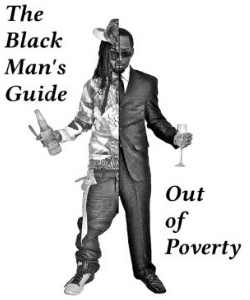 Every area where Black people spend money is an area where we can develop our own businesses. A big problem I see is that there is too much of a focus into getting industries that we do not control. At the very least we need to carve out our own spaces in different industries. Some industries we need to control entirely. One such industry is the Black Hair Care Industry. Think about the term, “Black Hair Care” for a second. This is an industry that provides products and services to primarily Black people. Yet in the United States the industry is controlled by Koreans. I remember being in a Korean-owned sushi place one time and thumbing through a trade magazine about Black hair care. The magazine was written in Korean. Black people need to control that industry on general principle. One of the things we need to do as a community is realize that no amount of marching, begging, and threat of boycotts will have other people accept or respect us. In every way we can our focus needs to be on creating businesses to serve our needs. Jobs are slowly disappearing in the mainstream economy due to automation and outsourcing. We can’t expect for jobs to be there for us. We have to create our own. As with the example of the Black sector of the fashion industry we are creating our own businesses and outlets. We already have plenty examples of successful businesses. We need to showcase these businesses. Then we need to create more. Indeed several marketing companies can be created to market these businesses. That’s a point that must be made. By simply creating viable businesses we actually create other businesses to support the initial businesses. Let me go back to the fashion production company. The company itself created jobs for salesmen, announcers, DJs, models, and model trainers. That’s just within the company. The company worked with venues and marketers as well as several fashion designers. This is the same dynamic in any industry. We have to create our own industries. We can’t wait for other people to take care of us.